Jakob Carnermark, founder of Aligned Energy, delivered a speech on his sustainable electricity generator this past October. This sustainable power source runs on what otherwise would have been data center waste heat. Therefore, less energy is being used during a business operation day. Data centers are reported as consuming at least 2-3 percent of the world’s electricity supply. Therefore, Carnermark and his firm have studied ways to reduce energy usage within these power houses. One step toward improved power efficiency taken by Aligned Energy is to create a system that requires a 190-degree rather than 212-degree boiling point. Alcohol instead of water, for instance, boils at a lower temperature than the standard 212 degrees. The Aligned technology also cools a data center using a thermal bus system without using fans, chillers or other forms of air. The bus cooling system can, in fact, reduce the temperature in a data center from more than 95-100 degrees all the way down to 75 degrees. All this has been accomplished using the reusable energy collected from the data center instead of a new, consumable power source. Other research suggests that a Canadian telecommunications company reduced energy consumption by 80 percent using the Aligned data center systems. As a result, more businesses are switching over to these newer power systems that harness what otherwise would be discarded energy. This new form of energy processing involves the use of a passive sink placed above a server rack. This is where the thermal bus absorbs the surplus heat as it rises then moves it to an outside location. Within the bus, a double pipeline holds the liquid that absorbs the heat emitted from the server rack sink. Then, this heat is released at a discharge point and is compressed into a gas and is later recycled. Companies who use the Aligned Energy thermal bus systems usually can add these units as they are needed. Commercial entities also typically pay for the power they use as they consume it, and the amount of energy the system uses equals to about a third less than some larger cooling systems. 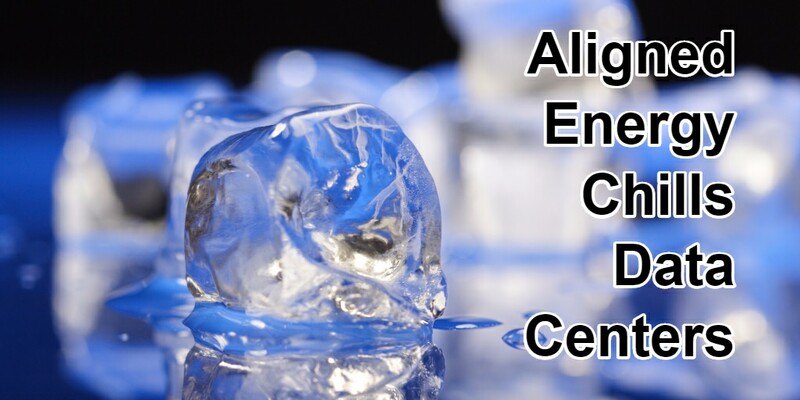 The newer technology offered by Aligned is reported as one that takes up less space than other types of cooling equipment.